Scott Baio (left), Trevor Noah (right). Apparently Chachi can't take a joke. 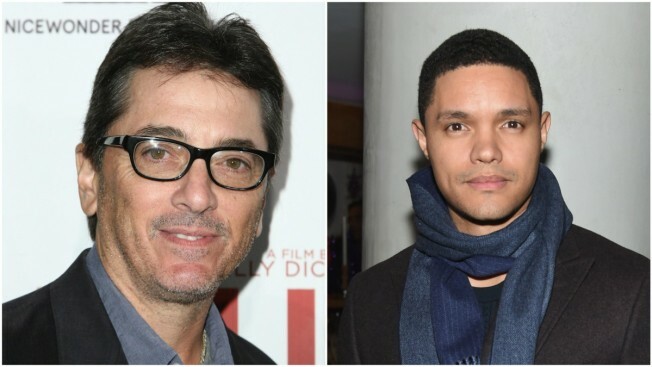 Scott Baio lashed out against "The Daily Show" host Trevor Noah after the comedian joked about the former "Happy Days" star's boycott of Nordstrom. When you, @Trevornoah learn what it means to be an American then you'll have a say. Until then enjoy our $ and shut your pie-hole! Earlier this week Baio, an ardent supporter of Donald Trump, tweeted what appears to be a statement from Nordstrom in his wife's name with purchases totaling $30,000. Baio made it clear he and his family would be taking their business elsewhere. The Baio protest follows the department store chain announcing it would stop selling Ivanka Trump's clothing and accessory line, a decision the store insists was made only for business reasons.